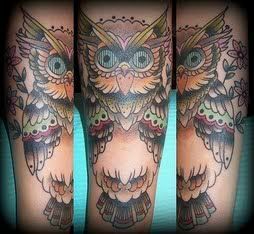 Owl tattoos is a site of just that. Who knew there were so many people with tattoos...of just owls? To give you an idea, there've been right at 350 posts over the last couple years, and most posts feature more than one tattoo each, so yikes!